Gionee launched the slimmest handset in India, Gionee S5.5. The smartphone is just 5.5mm thick and replaced Vivo X3 at 5.75mm thickness to be the slimmest beauty in town. 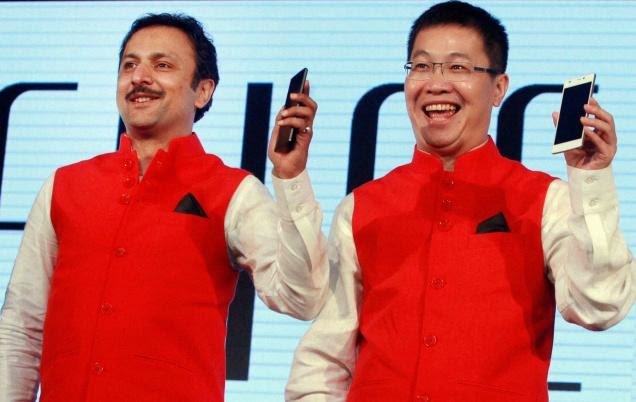 Unveiled at MWC 2014 in Barcelona, Gionee Elife S5.5 was launched initially in China and then in India. 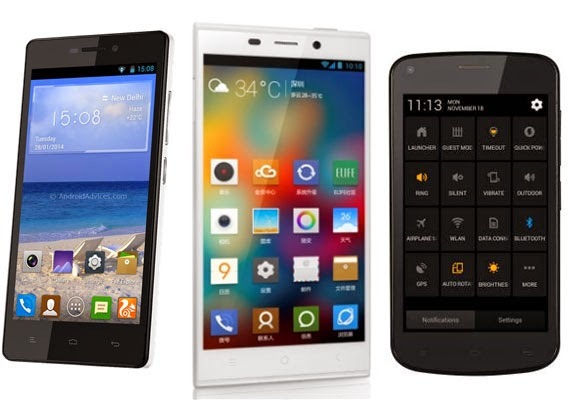 The phone is an economically priced device and caters to the mid-range segment. Clearly, with the focus on slimness, Gionee Elife S5.5 gives equal importance to beauty as brains. The phone is a sleek stunner in a metal casing with a glass body. The design is slightly different than the run-of-the mill blocks and even the bezels have a slightly designed finish to give the phone a completely unique look. Running on Android Jelly Bean version 4.2, Gionee Elife S5.5 runs on the Android platform with the Gionee Amigo UI on top. While the OS is a slight disappointment, we guess Gionee will soon roll out an upgrade for the device with Jelly Bean 4.3 if not KitKat. The display is definitely one of the best in its class with a 5-inch super-AMOLED LECD touch-screen . The full HD display boasts of 441ppi. Gionee has managed to balance power and looks with the Gionee Elife S5.5. Apart from the display, the 1.7GHz octa-core processor equally impresses. The RAM at 2GB is the same as most flagships in the market. While the OS was a major let-down when it comes to Gionee Elife S5.5, another disappointment is the lack of a memory card slot. Most phone-makers are sticking to internal memory these days but it definitely restricts the user in terms of storage and expandable memory. Also, while flagships often come with multiple internal memory variants, Gionee Elife S5.5 comes in just one internal memory variant, the 16 GB one. Leading global provider of cloud services Akamai Technologies, has announced a strategic partnership with Sify respected Indian leader in Managed Enterprise, Network, IT and Software services: This partnership will enable Sify Technologies to offer Akamai’s global expertise and solutions in Web acceleration and applications delivery to its Enterprise customers across India. By mitigating the complexities of Internet, Enterprises will be able to enhance user experience for their global employee, customer and partner bases while providing a comprehensive and highly secure platform for their online applications. 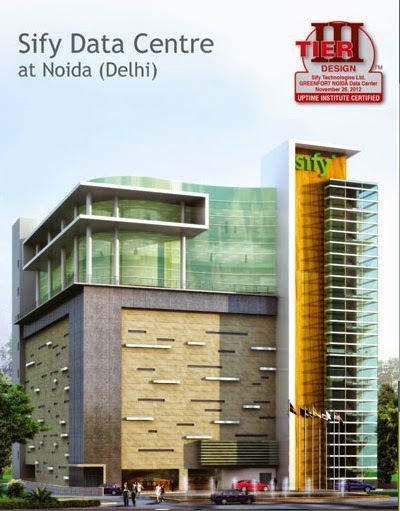 “This partnership allows Sify to extend multiple leverages to clients. In a sea of information online, it will enable precise, accelerated and optimized content delivery for our clients, both on the web and mobile platforms. For Sify, this translates into a vital service that we can extend to every Enterprise whose business model involves content and its delivery robustness,” said Kamal Nath, CEO, Sify Technologies. As part of Philips’ commitment to deliver meaningful innovation in personal health and well-being, Philips India introduced a new category in its Consumer Lifestyle portfolio – Air – with the launch of three variants of Air Purifiers designed to control indoor air quality. These products will help alleviate the impact of poor air quality on diseases such as allergies, skin diseases, Chronic Obstructive Pulmonary Disorders (COPD), Asthma and other respiratory disorders. WHO studies reveal a strong link between poor indoor air quality and Non Communicable diseases which causes upto 63% of global mortality. Small particles enter deep into human lungs and the ultrafine particles can enter the bloodstream sparking a whole range of diseases including asthma, cardiovascular diseases, respiratory diseases (like COPD, Asthma, Bronchitis) and even lung cancer. According to other international studies, indoor air across the world is between 10-30 times more polluted than outdoor Air, and 80% of the world’s population breathes polluted air that exceeds the WHO prescribed level of Particulate Matter (PM). In India alone, the level of PM in indoor air is approximately three times higher than the WHO standard. In the national Capital of New Delhi, this level is upto ten times higher than the WHO standard. “We have no control over external air pollution, but we can definitely improve the air we breathe inside our homes and offices. 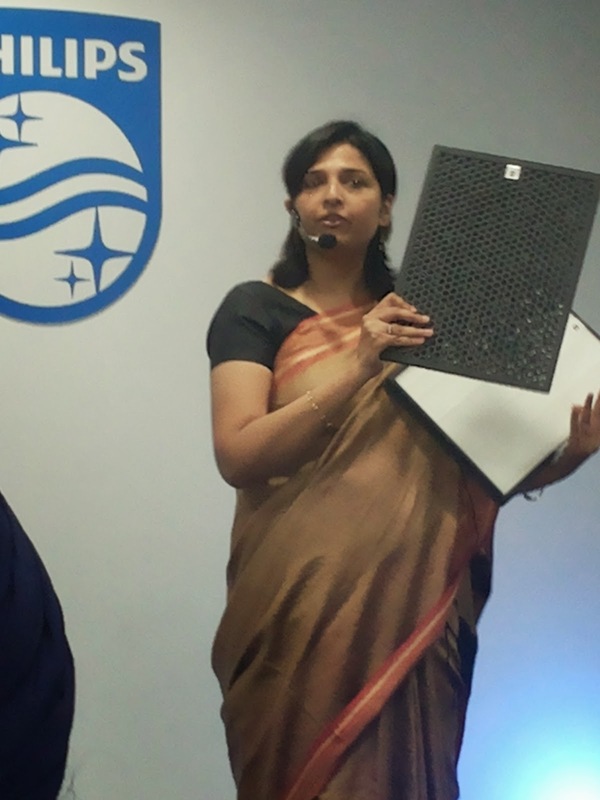 While the air quality continues to deplete, Philips Air Purifiers will hopefully address the issue to some extent,” adds Jayati Singh, Business Head – Air, Philips India. 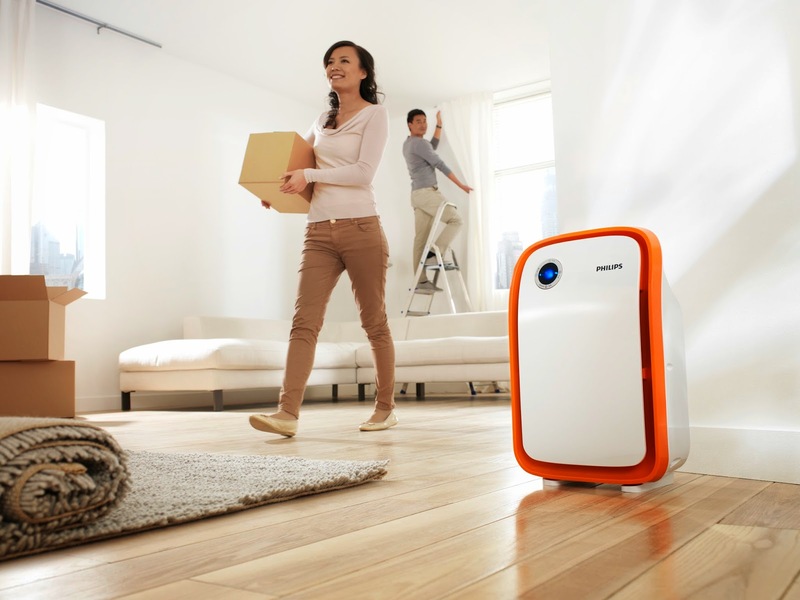 The Philips Air Purifiers, with a unique VitaShield Technology, purify the air through a 4-stage filtration process removing 99.7% airborne particles. Philips VitaShield IPS also has a number of special new filters designed for specific environments like new homes.These filters are complemented with the Smart Sensor and light indicators that measure and show the air quality in a room. The Healthy Air Protect and Healthy Air Lock warn the user when the filter requires replacement. VitaShield IPS is certified allergy-friendly by the European Centre for Allergy Research Foundation (ECARF), a foundation committed to improving the quality of life for allergy sufferers by identifying products and services that are allergy friendly. Philips has showcased a range of innovations at the Philips Innovation Center (PIC) in Bangalore, specially developed for South Asia and other growth geographies. At an international media event, Philips underlined its commitment to developing and investing in innovations in the area of healthcare, energy-efficient LED lighting solutions, and locally relevant consumer appliances and services. PIC is one of the 59 Philips R&D centers in the world, of which 13 are in Asia and 3 in Latin America. In 2013 Philips invested more than EUR 1.7 billion in research and development globally. The centre focuses on building complete products for India and growth geographies, in addition to developing solutions and products for global markets, across the three sectors Philips operates in, Healthcare, Lighting and Consumer Lifestyle. Products include, ultrasound devices, Mother and Child Care products like Warmers and Incubators, the Intellispace Consultative Critical Care Solution and a whole host of solutions for India. It also contributes to Global solutions in MR, CT and Component development for connected consumer devices, connected Lighting solutions and renewable energy. Mobile Obstetrical Monitoring (MOM) is a prototype scalable telehealth solution for early high-risk pregnancy detection in regions where increasing maternal mortality is a concern. Using a mobile phone* application, midwives can easily collect data from physical examinations and tests at local nursing clinics or even at the soon-to-be-mother’s home. Obstetricians or gynecologists in a different location are enabled to determine if a pregnancy might be high- risk, anywhere and anytime. Based on initial testing in India, Philips Indonesia is currently running a one-year pilot project. IntelliSpace Consultative Critical Care (ICCC) is a telehealth solution for remote intensive care delivery (tele-ICU) in rural and urban areas of India, where specialist care is not always available. Designed by the PIC team in India and already used by a total of thirteen regional hospitals in the country, it enables patients who suffer from a serious injury or illness to be monitored and evaluated by an intensive care specialist from a central hospital command center through the latest audio-visual technology. Air Purifier: As part of Philips’ commitment to deliver meaningful innovation in personal health and well-being, Philips introduced in the India market a new category in its Consumer Lifestyle portfolio – Air Purification – with the launch of three variants of Air Purifiers designed to manage indoor air quality. These products can help to improve the lives of those suffering from allergies or respiratory problems – good indoor air quality can help prevent such issues from occurring or worsening. 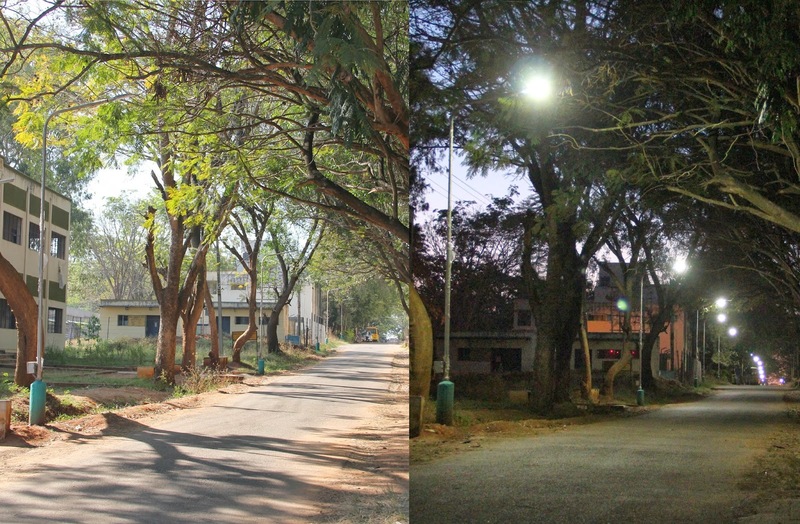 Solar Energy -The DC Grid: The Philips Solar DC grid is a new LED-based solution that realizes an efficient link between a renewable energy source and an efficient luminaire. The development of affordable, inexhaustible and clean solar energy technologies will have huge longer-term benefits, especially in growth geographies where there is an increasing gap between supply and demand. 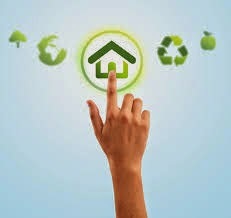 This has driven Government agencies to look out for sustainable sources of energy. The Philips Solar DC grid will lead to reduction in investment as LED luminaires will demand less energy from the source to produce the same amount of light and this reduced energy can be supplied from smaller photovoltaic (PV) panels due to the efficient DC grid infrastructure. Connected LED lighting powered over Ethernet- As the global leader in Lighting, Philips unveiled a breakthrough connected office lighting system that delivers extraordinary value to facility managers, office workers, and building owners. The groundbreaking system uses Power-over-Ethernet (PoE) to connect office lighting fixtures to a building’s IT network. The lighting system acts as an information pathway, enabling workers to control and access other building services via their smartphones, allowing them to enjoy greater visual comfort and productivity. Royal Philips has introduced Visiq into the India market during the Global Media Meet 2014 held at the Philips Innovation Centre in Bangalore. 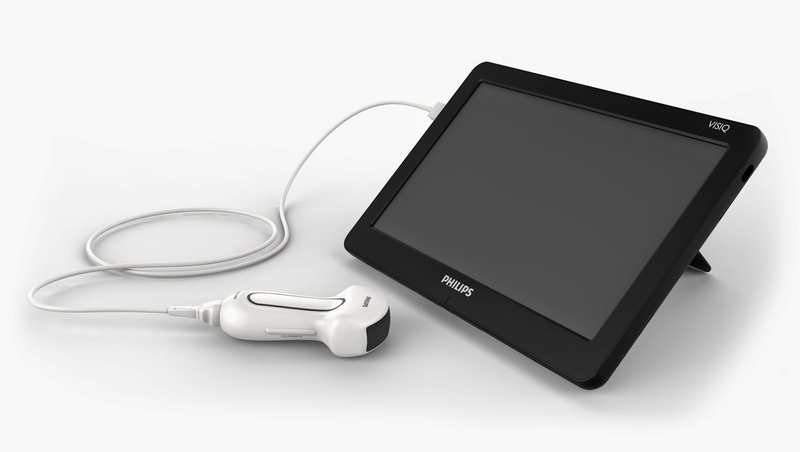 Visiq is the first Philips ultrasound system which combines various features such as high performance and simplicity into a compact single miniaturized solution. It allows clinicians to increase access to quality diagnostic scans for Ob/Gyn patients, especially in labor rooms and remote areas. This compact ultrasound device can be easily taken wherever care is needed. It wakes from sleep mode to scan-ready in seconds, and can scan continuously for 2.5 hours on a single battery charge. It delivers the same image quality of premium ultrasound system, allowing expectant parents to clearly see their unborn child’s fingers and toes on the tablet’s screen. Visiq’s touchscreen gesture controls are familiar to anyone who has used a smartphone or tablet, and allow users to capture images, take measurements and share data easily. In addition, Visiq offers many of the same automatic image optimization features found on Philips’ premium EPIQ systems, as well as built-in Wi-Fi for DICOM data transfer to hospital or cloud-based PACS. 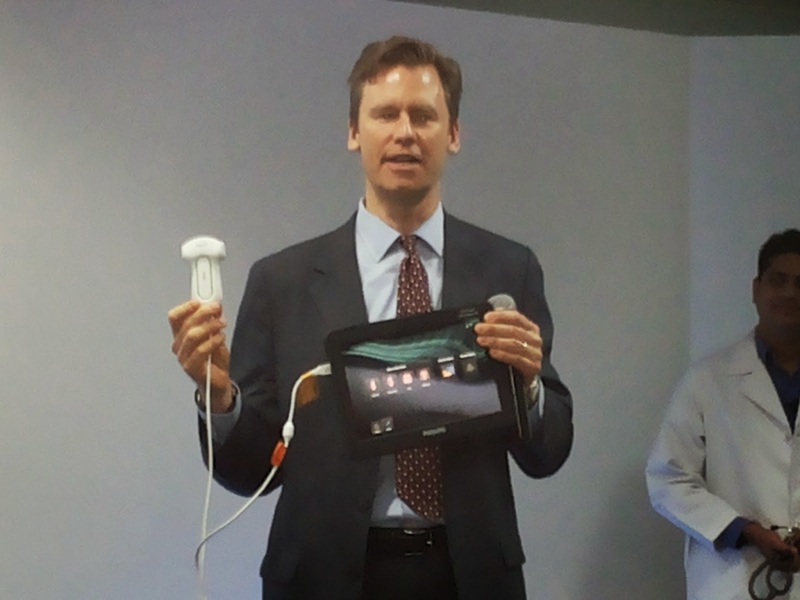 “Having used many other ultrasound systems, I find Visiq so handy. I could carry it anywhere I need it: to the bedside, the labor room or even the operating theater. The way it works is also quite simple, and we could easily train people to use it. The other big advantage is the use of Doppler. We don’t have to send patients to the scan room and try to extract information afterwards; we can just use this simple machine and take immediate decisions. So the patient and the doctor will be happy because everything is happening fast,” said Dr. Shashikala Bhat, Ob/Gyn at the TMA Pai Hospital in Udupi, India. At the heart of the Visiq system is a smart transducer that fits comfortably into the user’s hand. It comes with single probe solution, high quality 2D B&W pulse Doppler and 2 of 2 color Doppler. Drawing on over 30 years’ experience in ultrasound, Philips has taken advantage of advances in miniaturization to integrate a sophisticated broadband digital beam former and powerful image acquisition module into the transducer. Visiq targets OB/GYN and abdominal applications. In addition to its utility in labor and delivery room it has potential application in other areas like point-of-care and critical situations like calamities and accidents. It lays the foundation for a future range of portable ultrasound products to meet the evolving needs of clinicians and patients. MapR Technologies, Inc.,the top-ranked distribution for Apache Hadoop, and Elasticsearch Inc., the popular open source search and analytics solution, today announced the integration of Elasticsearch’s real-time search and analytics capability with the MapR Distribution for Apache Hadoop, enabling customers to search and store tremendous amounts of information in real time. With the growing need for businesses to store, search and analyze huge volumes of unstructured data from multiple sources, big data technologies such as Hadoop are necessary for businesses to extract critical insights.The MapR Distribution helps customers realize the benefits of Hadoop at a lower cost of ownership than other distributions while enabling the widest number of use cases. With the combination of MapR and Elasticsearch, developers gain a scalable, distributed architecture to quickly perform search and discovery across tremendous amounts of information. The combined solution is already in use at leading enterprise companies including Solutionary, the leading pure-play managed security service provider, and several Fortune 100 financial services institutions. Following the success of the openSAP platform and its massive online open courses (MOOCs), SAP AG has announced it will increase the diversity of its online courses to maximize their value and reach to learners worldwide. The current focus on developers using SAP technology will continue while new classes are introduced that target a business audience as well as application experts. * SAP Business Suite powered by SAP HANA: The course will provide insight into the business value of SAP Business Suite with the added value of SAP HANA. 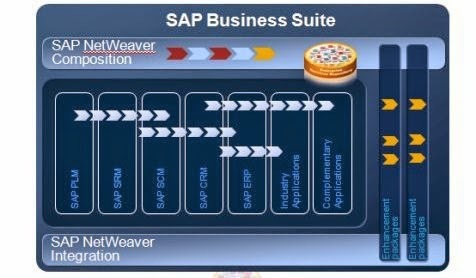 It will answer the questions of what is going to change and what will stay the same, and will give an overview on why SAP Business Suite powered by HANA is relevant to various lines of business. It will also discuss the importance to different industries and how companies there drive value. The course begins April 9. * Sustainability and business innovation: Peter Graf, chief sustainability officer at SAP, will share the key learnings from the sustainability and innovation journeys of SAP and SAP customers, including how companies drive significant business value from acting environmentally and socially responsible. The course covers best practices in sustainability, from strategy to business cases, business processes, engagement and reporting. * Rapid-deployment of SAP solutions: SAP offers a fast and simple way to implement solutions with best practices for rapid deployment. The course explains how the methodology can be used to shorten the time-to-value, reduce project risk and deliver predictable business outcomes for users. SAP announced its first MOOC, “Introduction to Software Development on SAP HANA,” in April 2013 and it has seen massive adoption, with more than 80,000 participants to date. 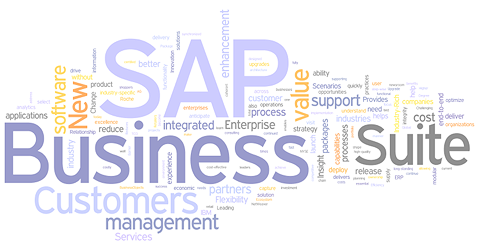 In total, more than 200,000 learners enrolled across the eight openSAP courses that have been offered. 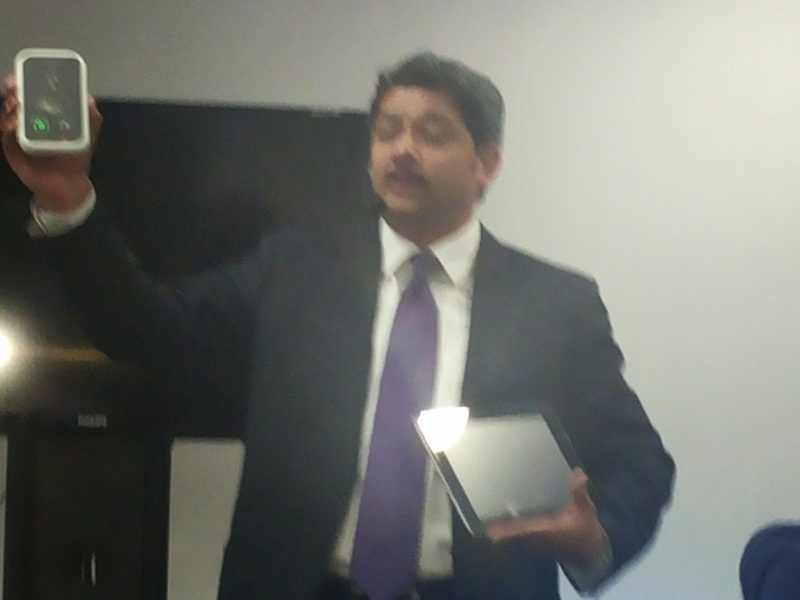 Vishal Sikka, member of the Executive Board of SAP AG, recently became a presenter on openSAP and delivered a simplified introductory course for SAP HANA with positive feedback. SAP is also enhancing openSAP through additional capabilities, such as social collaboration capabilities and a new app for iPad that allows users to download and complete course materials offline. Once reconnected to the Internet, learners’ progress will automatically be synchronized with the openSAP platform. 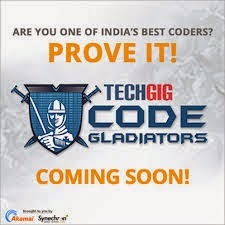 Renowned for creating the largest community of Techies in India – TechGig has taken the next logical step of getting Corporates involved in the community a big way.. Code Gladiators is going to be a corporate battle – the best talent from IT companies will battle it out to a fight to the finish. The contest is all set to showcase the Company with the best Coders by identifying the Best Coder in the Country. This online event takes place through out the months of April and May in an online format – leading up to the LIVE finals, which shall be held in Delhi in June between the top 40 coders from across the country . TechGig has been a pioneer in conducting technology related contests for internal employees, , company-sponsored contests for talent engagement and various employer-branding activities. Code Gladiators combines all these activities and takes the scale to an entirely different level – one where employees from companies across India will be involved at the same time. This innovative format will start with internal contests to identify the best coders in companies, then give coders a chance to compete against the best coders from other companies, and give companies the opportunity to prove that they have the best coding talent and the best ecosystem to nurture and encourage coding talent – the best place to work. 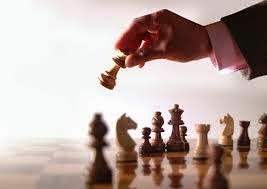 “While traditionally organisations have been wary of such competitions fearing that their best people might be ‘exposed’ – we are surprised to find that more progressive organisations have responded and 37 companies have already signed up, even before the official launch.” adds Anand. “We live in an era of rapid technological changes and I think Code Gladiators is a great platform to challenge the brightest minds in the field to show their mettle. This is the first time Team Persistent will be participating in a coding competition. We see it as a good opportunity for individuals as well as for the organization to assess where we stand as compared to our competitors.” agreed Nitinchandra Shende, Head-Talent Management, Persistent Systems limited. Other major corporates participating in the TechGig Code Gladiators Championship include the well-known names of Akamai, Synechron, Schneider Electric, Symantec, Nokia Siemens, Sasken, Calsoft, Panacea, Informatica, Seclore, McAfee, Cvent, and Unisys. Registrations are open to Companies who can register for the event and use internal coding contests to identify their top coders. A company can enter upto 8 coders for the inter-company battle. The second stage will be the Regional Semifinals – where the best winning coders from each company will pit themselves against each other. 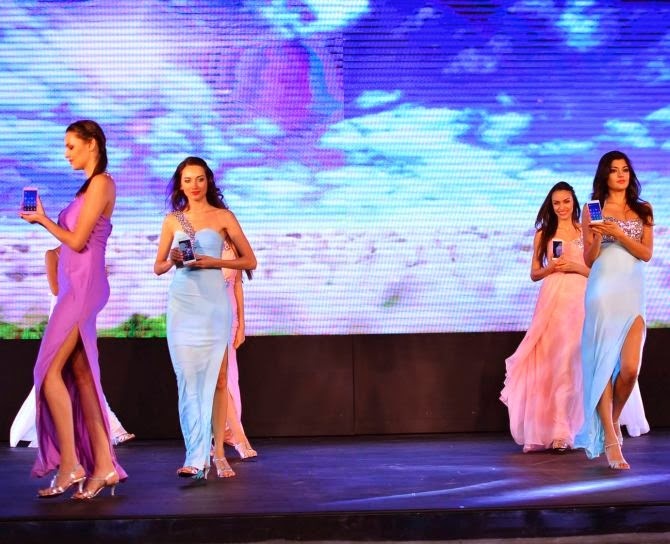 Followed by the National Final - a live event to be held in Delhi. The contest will be held in the following programming languages – C, C++, C#, Java, Java script, PHP, VB.NET, Ruby on Rails, Python and Perl. Gladiators will be allowed to compete in multiple languages. Applications are open to all IT firms till the end of April 2014. – companies can contact Ankur Gupta ( ankur.gupta2@timesgroup) to participate in the contest. GoDaddy,a leading technology provider dedicated to small businesses, enables Jay Khodiyar Machine Tools (JKMT), a leading manufacturer of biomass briquetting machines in India and South Asia to promote its business globally. Located in Rajkot, Gujarat, JKMT manufactures machines that help transform agricultural, forestry and municipal waste into biomass briquettes that act as biofuel substitutes for coal and charcoal. JKMT partnered with GoDaddy for its domain name registration along with Web hosting and email, which are core to Gujarat’s sales and marketing efforts. Since moving to GoDaddy, the number of inquiries on JKMT’s website have grown dramatically from just 10 inquiries per month to 50 inquiries every day. GoDaddy helps small businesses and entrepreneurs in India leverage the power of the Internet to build successful businesses online. GoDaddy’s suite of solutions including domain names, Web-hosting and email enable small businesses to find more customers, build their brand online and grow their overall business. 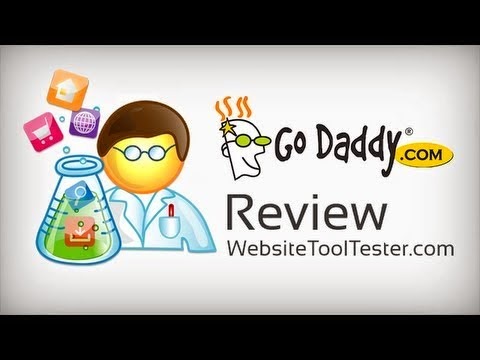 GoDaddy offers easy-to-use tools and services along with 24/7 local customer care. Since launching in India two years ago, GoDaddy has been relentless in its drive toward making it easy for SMBs to create a reliable and secure online presence at affordable prices. GoDaddy is based in Scottsdale, Ariz. USA. GoDaddy operates data center facilities in North America, Europe and Asia, along with offices in India and Canada, as well as other cities throughout North America and serves more than 12 million paying customers globally. Microsoft India has announced the opening of applications for the fifth batch of Microsoft Ventures Accelerator in Bangalore, India. Starting April 1, till June 10, Microsoft will receive online (http://aka.ms/MVABangalore) applications from technology startups. The first list of 50 shortlisted companies will be announced soon after closing of applications in June, and they will be invited for a face-to-face session with a jury panel. 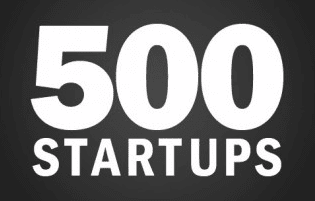 The final list of startups, which will make it to the winter batch of calendar year 2014, will begin the four-month acceleration process at the state-of-the-art Microsoft office in downtown Bangalore on July 23, 2014 and end with a Demo Day in November when the startups will showcase their ideas to key industry influentials, top angel investors and VCs. For the fifth batch, Microsoft Ventures is looking for a mix of Indian and international companies—Indian startups which are ready for the next stage of accelerated growth and want to have access to global markets as well as international companies that are interested in Asian markets. 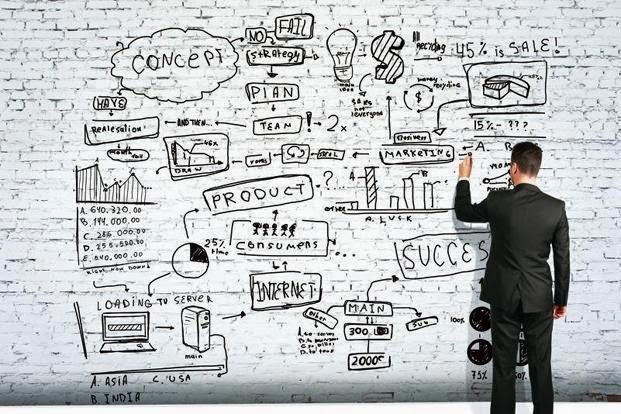 Young companies, which are at ideation stage and are extremely high potential, will also gain from the program. Elaborating further, Narayan said: “We will work closely with our industry partners, mentors and panel of jury to identify exceptional technology entrepreneurs who are solving big problems at scale, both for India and global markets. We welcome all technology startups, from India and abroad, to send in applications. The process is quite simple. All you need to do is apply online (http://aka.ms/MVABangalore and if you have any doubts/ queries just read up the FAQs. We will also be conducting workshops and coffee meet-ups at various Indian cities where we will meet startups and startup aspirants and answer their questions. Microsoft Ventures Accelerator is a key part of Microsoft Ventures, Microsoft’s three-pronged initiative to offer startups a single point of entry to engage with Microsoft. Apart from the state-of-the-art workspace and access to Microsoft technology and technology mentors, each batch goes through a rigorous, intense and structured four-month program. Microsoft and industry mentors provides startups with hands-on expertise in key areas they need help on most—namely technology architecture, user experience/ design, product roadmap, business model development and connections with early adopters. Each startup pursues three tracks simultaneously – customer development, product development and deepening market traction. The Accelerator Program team tracks their progress every week, and shares the report with mentors who provide them valuable feedback. Microsoft Ventures Accelerator in Bangalore hosts two batches a year, from July-November and January-May. The summer batch of 2014, which is the current batch of startups being accelerated, will graduate on May 23, 2014. The first three batches saw 36 companies graduating from our program after achieving three times customer traction on an average. Around 82% of the companies also received funding. With software testing becoming ever more complex, the role of test management has assumed great significance However many testing organisations still lack the requisite test management tools and capabilities for the right levels of co-ordination across their organisations to ensure the timely release of quality-assured software. In an ever more complex software testing world, good test management is an imperative that cannot be ignored. The often complex outsourcing deals in today’s context can lead to equally complex management issues. Indeed, according to Gartner the leading cause of missed expectations is poor governance. When tackling these issues, test organisations are increasingly finding benefit from management tools. Good test management delivers a range of benefits including reduced time to market, faster delivery, improved productivity through reduced rework, and better analytic results through increased visibility and control using dashboards. 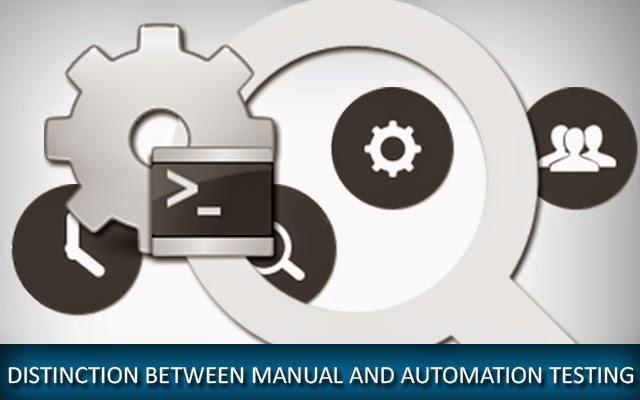 Such a test management function enables a centralised view across all elements of testing, both manual and automated, right from the development stage through to Quality Assurance (QA), during both the functional phase and performance. This activity can go a long way in ensuring full collaboration and control at every stage of the process. One of the latest trends in testing is the concept of the Global cubicle where testing is carried out by a number of testers across different geographies and time zones. “It is more vital than ever to have a test management system that provides a common platform, bringing together the test process, artefacts used therein and work items from groups of testers working across geographical locations and time zones. It has become crucial than ever for organisations to implement a test management strategy that unifies and controls the entire software testing process,” states Vijay Balasubramaniam. One of India’s most well known smart home installation companies, Smart Automation announced today the grand opening of its new Flagship Experience Centre in the vibrant city of Gurgaon. The new centre features an innovative concept aimed at providing customers a feel of how technology can turn their homes to ‘Intelligent Homes’, helping them do things conveniently and safely while adding a luxury quotient to their life. An iPad-controlled Smart Experiential Centre with most advanced and state-of-the-art technology threaded through every room offers customers a digital wonderland experience. Dressed as a high-end domestic property, the Smart Experiential Centre showcases the most covetable home automation technology in the market while trading as an exclusive store. In a concept new to Indians, clients are invited to “spend time” in the Smart Centre with their family to experience the lifestyle benefits of the extraordinary array of products available to buy. The hands-on approach allows home owners to see how new products could apply to their own lives and properties with virtually every whim catered for at the touch of an iPad screen. Customers can control and manage household services such as heating, air-conditioning, blinds, lighting, security, and data throughout the Smart Experiential Centre via the iPad. In other words, they can control every aspect of the home starting with the basic lighting to their music and digital art choices. One can watch a movie in the home theatre; listen to their favourite music on some of the world’s most sonically advanced speakers in the audio room, or simply experience the security solutions in offer. Lights, heaters and air conditioners automatically turn down when rooms are vacated and everything can be switched off with one button on leaving the premises. “With home-owners increasingly wanting to future-proof their properties with technology, we wanted to demonstrate how life-enhancing home automation can be in 2014. Our products are capable of delivering a complete solution for homes and offices because they integrate the control of lighting, audio, video and climate into a single cohesive system offering utmost security and comfort. To get a real sense of the incredible products that are available, we believed the customer had to experience it first-hand. The idea behind Smart Experiential Centre is to provide a ‘home-away-from-home’ environment, to help integrators, architects and designers better understand Smart Automation technology and how it is integral to what they do,” said CP Singh, Founder, Smart Group. In a bid to offer one-stop solution for all automation needs, Smart Group has got on board a roll-call of world class brands and manufacturers that would be displaying their most advanced products at the centre. The brand Smart Automation, a venture of Smart Group says it intends to make the new space an extension of the initiatives and demonstration it already provides at trade shows. This centre is all about improving customer service and connecting with the customers by providing a relaxed and engaging environment that encourages people to interact with and sample company’s products and services. Why's India Ignoring World's 2nd Largest IT Market? 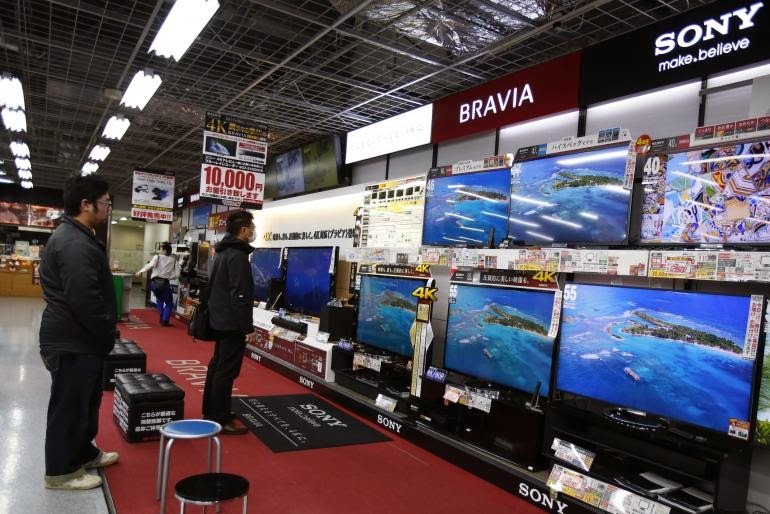 Japan is the world’s second largest IT market after the United States. India’s software export to the Japan is $500 million, representing one per cent and it was very miniscule, said D. K. Sareen, Executive Director, Electronics and Computer Software Export Promotion Council (ESC) on Monday. While urging the Indian software firms to take part in the ‘Japan IT Week 2014’, he said it was the largest trade show wherein participants can find latest IT technologies and solutions. It would be visited by a great number of information systems manager, management executives, sales managers, system integrators and managers from IT system division. Japan IT Week will be held for three days at Tokyo Big Sight from May 14. The participation cost is Rs. 2 lakh plus service tax. ESC would be providing a fully furnished 8.1 square meter stand. 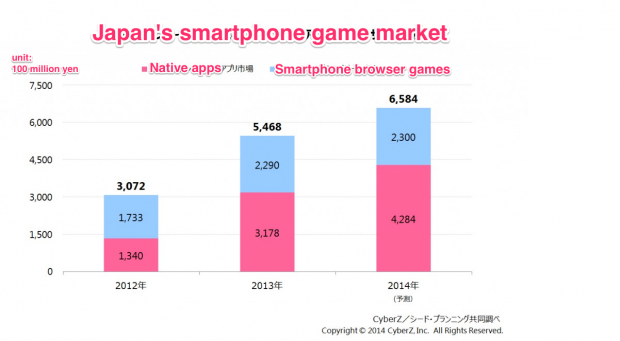 The current slump in the economy has forced Japan to adopt new models for delivering software. More and more Japanese firms are open to the idea of using readymade software packages rather than custom built solutions, said an ESC member. Japanese Deputy Consul General Koji Sugiyama said that Indian IT outsourcing was set to grow faster during 2014-15 than last year. He also urged the Indian firms to make good use of the Japan IT Week show that would also concurrently hold specialised shows on software development, data warehouse, embedded systems, data storage, information security, cloud computing, smart phone and mobile among other topics.